Hazelnut flour is made from hazelnuts that have had their skins removed before being ground to a fine powder. Hazelnut flour most likely originated in Italy. Italy is second on the list of main hazelnut producers in the world after Turkey. 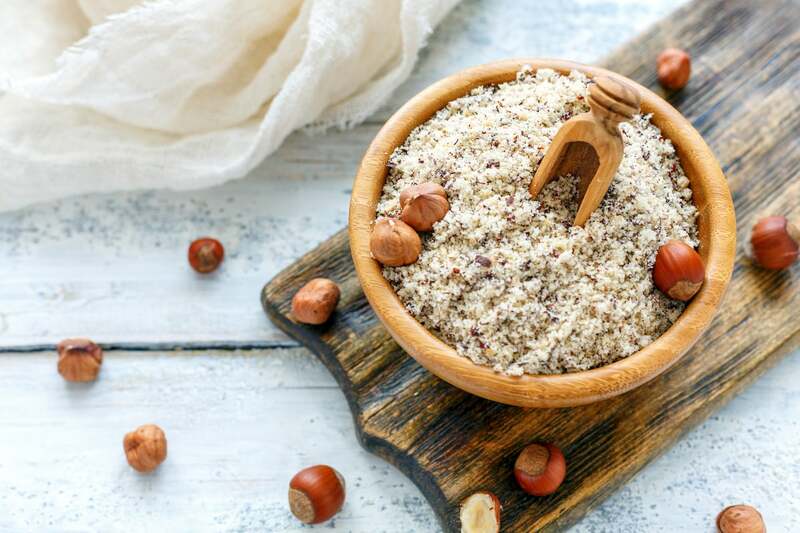 Hazelnut flour is a staple in Northern Italy and is used in a range of savory and sweet dishes. In the Piedmont region of Italy, groves of hazelnut trees have a protected geographical indication status. The status points to the importance of the hazelnut and its products to the culture of the region. Fun fact: Piedmont’s hazelnut trees grow in symbiosis with another Northern Italian culinary treasure — the white truffle. Hazelnuts have been used in Europe as far back as 9,000 years ago. Archaeologists have discovered evidence of the nuts being processed in England, Scotland and on the Isle of Man. The flavor of hazelnut flour is best described as being simply buttery and nutty. It is highly aromatic and can bring a richness and light sweetness to dishes. 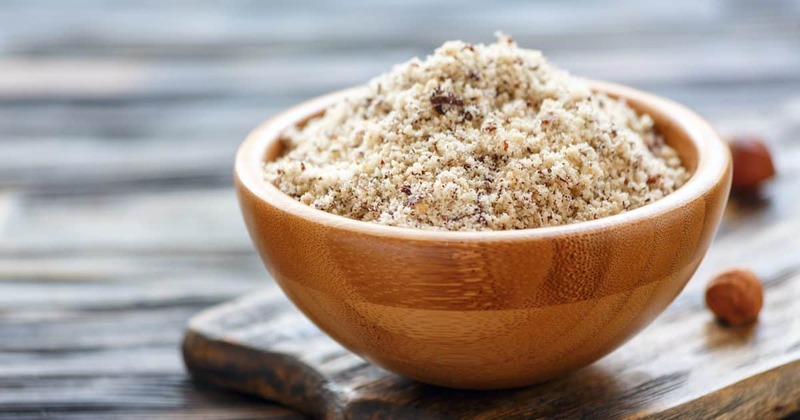 Minerals: A serving of hazelnut flour will provide with you with high levels of minerals like manganese, iron and magnesium. You will also get a lot of copper, which is one of those nutrients that often gets overlooked. Vitamins: In addition to high levels of B vitamins, you will get vitamin K and a significant amount of vitamin E from hazelnut flour. Fiber: As with most nuts, hazelnuts are a good source of fiber and much of that fiber is present in the flour as well. Monounsaturated fats: Hazelnut flour is a good source of monounsaturated fats that have important health benefits. 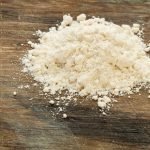 Celiac disease: Hazelnut flour is gluten-free, which means that it will not trigger the symptoms that gluten-rich flours can cause among people with celiac disease. Heart disease: The antioxidants and monounsaturated fats in hazelnut flour can help to protect the heart. 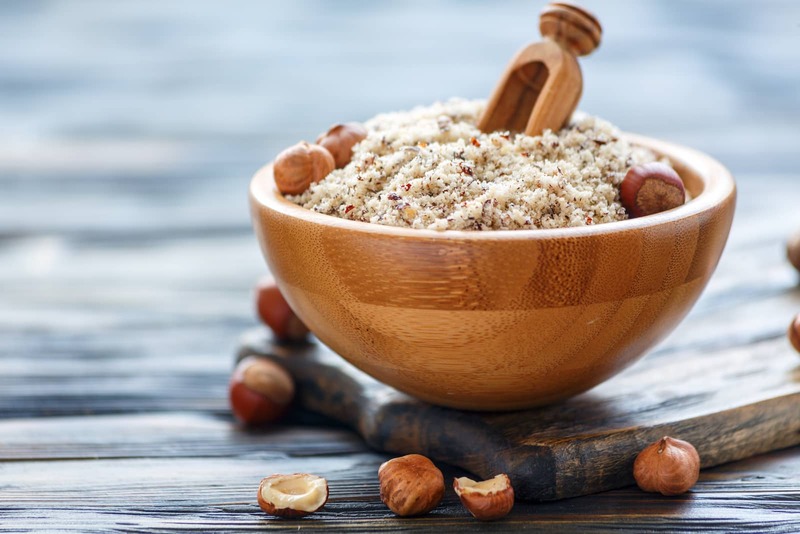 Research has shown that people who got 20 percent of their daily calories from hazelnuts saw a reduction in their levels of low-density lipoprotein, which is the bad cholesterol. Note that these results were from whole hazelnuts, but hazelnut flour should still provide many of them. Cancer: Vitamin E is one of the antioxidants in hazelnuts and is believed to provide protection from the cell damage that can cause cancer. Hazelnuts are also a good source of proanthocyanidins, which are an antioxidant with powerful anti-cancer properties. The high level of manganese in hazelnuts and hazelnut flour may also be effective for preventing cancer. Constipation: The fiber in hazelnut flour can ensure the smooth passage of food through the gut. Hazelnut flour is versatile and has a variety of traditional applications in Northern Italian cuisine. It is used to make pasta fresca alla nocciola, pesto, and biscotti. Beyond those uses, hazelnut flour can be used in place of other nut flours and to replace all or part of the wheat flour in some recipes. Use it in cakes and cookies, pie crusts, and to dredge meat or vegetables for frying. 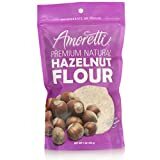 What's A Good Hazelnut Flour Substitute?